Egusi pudding is a meal eaten by many tribes of Cameroon. It plays a great role in traditional ceremonies. 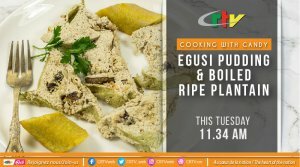 On CRTV discover how to prepare it with steamed ripe plantains.